← Psychology of car driving – does enjoyment depend on price? 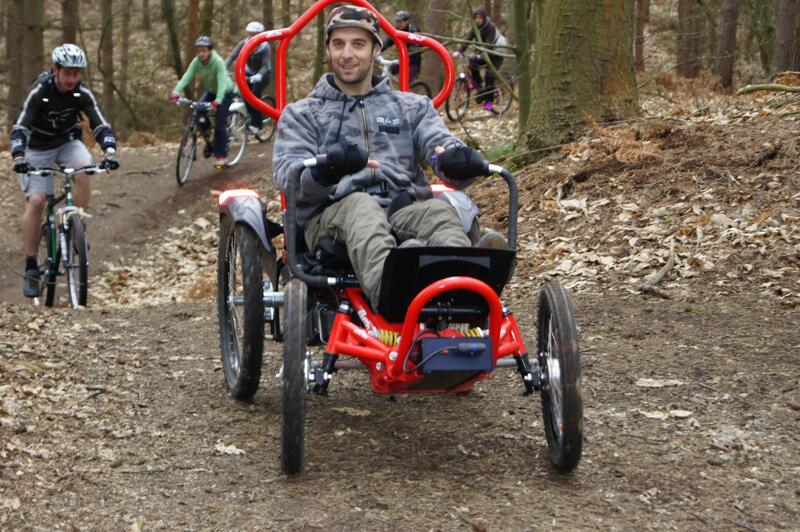 The Prospectory is currently exploring the possibility of running a trial in the Brecon Beacons National Park of a Boma All Terrain Wheelchair. The Boma (left) was developed by Chris Swift, a qualified engineer and tetraplegic, who wanted to enable people with limited mobility to enjoy the outdoors to the full – climbing hills, going off road, exploring trails and just having fun with friends and family. Most visitors to the Brecon Beacons National Park (where we are based) come here to be active and get out and about on the hills, explore the mountain bike and horse trails and river and canal paths everywhere across the Park. The National Park has been working to make routes which are wheelchair accessible but it’s still difficult to take the average motorised wheelchair or mobile scooter on any uneven ground or stony tracks or up or down hills. What interests us about the Boma is that it could enable individuals (of any age) who are less confident walkers or have limited or highly restricted mobility to enjoy getting up in the hills or along cross country trails accompanying their more mobile friends and family members. It might then enable the National Park to attract more visitors who have limited mobility or are registered disabled. It should at least be fun to try! If you are a less mobile local resident or visitor to the Brecon Beacons or you run an accommodation or activity business in the area which focuses on less mobile visitors, then please get in touch to discuss the trial possibilities with us. You can read about a Boma community project in Colchester here. This entry was posted in Psychology, Technology and tagged all terrain, Boma wheel chair, brecon beacons, diabled, off-road, outdoors. Bookmark the permalink.